This fashionable dining Table can be fitted into all interiors, whether classical or modern, thanks to its simple sleek lines. 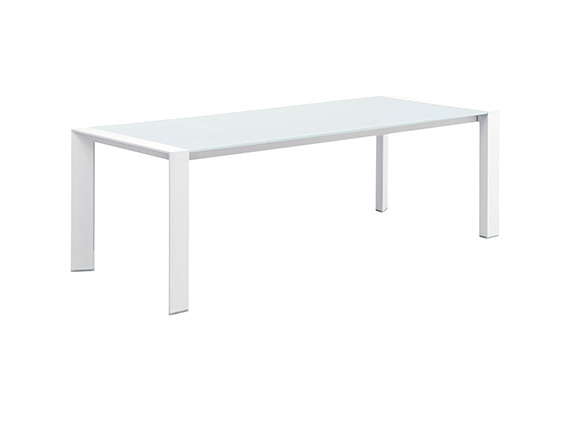 Its stylish, slender glass top and minimalist lacquered metal frame deliver practicality along with its luxurious appeal, the table's legs extend with the top, remaining at the corners so leg space is preserved and guests can be seated in maximum comfort. 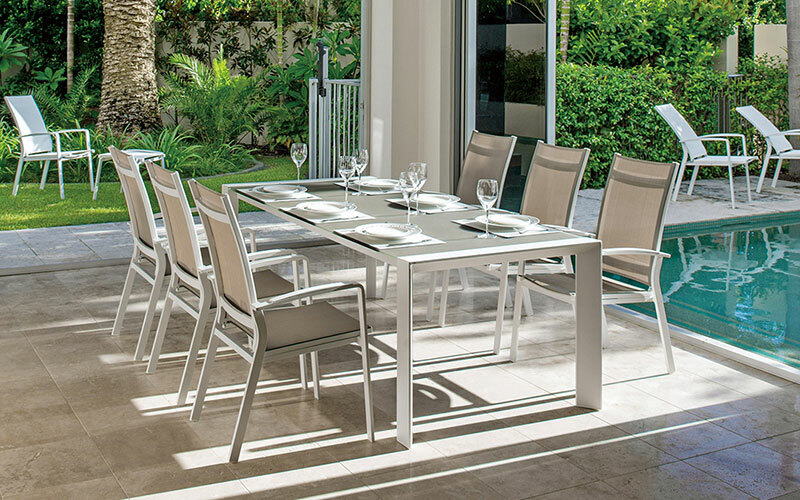 You can find this fashionable dining Table sets from gardenart retail stores in France and Spain.